It's slimy. It's smelly. Its green and it's gooey. 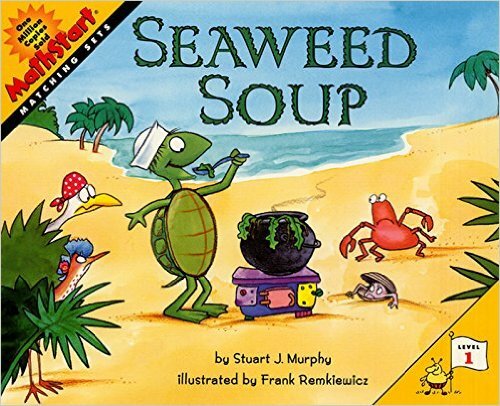 It's seaweed soup - and its Turtle's favorite lunch! Turtle has made enough seaweed soup for everyone. But it looks awful and smells worse! Nobody wants to even taste it. How can they tell Turtle without hurting his feelings? As Turtle serves lunch to his reluctant guests, young readers can learn about matching sets (also called one-to-one correspondence) by keeping track of all the different bowls, cups, spoons, and napkins on the table. Lighthearted art and a surprise ending make this a story readers will eat up.